Duana sent me an article last week, that we had on the long list of topics for the Show Your Work podcast, about Why TV Needs “Weak” Female Characters, challenging the idea that women must be “likable” and that an “unlikeable” woman’s story is not worth telling. Women, as we know, are held to a higher standard of “likability” than men. Which can narratively trap a female character. Because if your female protagonist is constantly motivated by being liked, how interesting will she be, really? I thought about this while I was reading the Teen Vogue piece on Donald Trump gaslighting America that’s been making headlines all week. That post resulted in other subsequent posts about Teen Vogue’s place in political coverage to address the surprise and disbelief that commentary like this was coming from a magazine that also recommends nail polish and hacks for pimple breakouts to teenage girls. When I was a teenage girl, I was f-cking UNLIKEABLE. Teenagers are complicated. They make bad decisions. They can be assholes. They are self-involved. They are total narcissists. But you know who recently defended narcissism? Elena Ferrante. When you apply that perspective on narcissism to the Teen Vogue reader, doesn’t it then make sense that Teen Vogue is putting political discourse right next to the best hair trends for prom? Teenagers contain multitudes. And that’s specifically why they’re so compelling – and one of the reasons they inspire creativity, on television, in movies, and in literature. 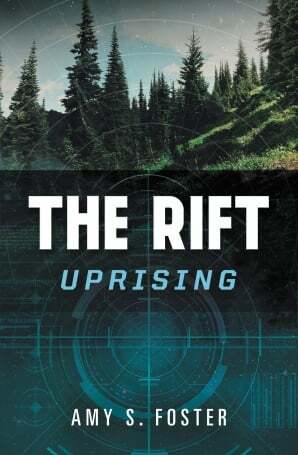 My friend Amy Foster published a book a couple of months ago about a teenage girl called Ryn, called The Rift Uprising. She is 17 years old. She is a soldier. She is smart and she is brave. But at times she can be the worst. And selfish. And, yes, a total narcissist. Admittedly there were times that I just couldn’t with her, because I fell back into those old habits, those standards of judgment that we’ve been conditioned to apply when it comes to what we expect from female characters. I realise, though, that Ryn, like Arya Stark, like Issa in Insecure, like Allison in The Affair, is simply practising “surveillance on herself”. More often than not, it makes her unlikeable. But, more and more, unlikeable women are necessary.